The Ibiza Retreats Boutique Yoga and Detox retreat is very special. It’s for people wishing to begin a fresh journey into their wellbeing – words fail to exactly describe why this experience is so unique and touching. The transformations that happen in just four days, make it one of the most powerful retreats on offer. Our guests leave as completely different people, or rather, they have discovered who they really are again. The menu concept on the Boutique Yoga & Detox retreats is focused on a gentle detox for the mind and the body. It’s not about starvation, it’s about fresh and simple cuisine. Day three is a juice detox, a time to take your mind off food and focus inwards, in order to better understand your relationship with food and to give your system a total break and a gentle detox – perfect for those new to juicing. Don’t be deceived by the name, the sea views, the deep green pine forest, the breeze blowing through the lavender or the beautiful burning torches which light the pathways at night. Our retreat location, Can Bikini, is a true sanctuary in every sense of the word, an oasis of calm and a little piece of paradise on the south-west coast of this magical island. Reserve your mind and mat space now – our next Boutique Yoga & Detox retreat takes place from April 19 to 23, 2015 and there are also various dates over the forthcoming summer season. Find more information by clicking here. How are you feeling at the end of the winter? Even if you are a regular gym goer, outdoors exercise lover or passionate yogi, chances are you have been spending the majority of time, not least because of the colder weather, inside lately. Winter time often sees us being more ‘indoors’ and ‘inwards focused’. The colder weather and longer, darker, nights encourage us to hibernate – and rightly so! 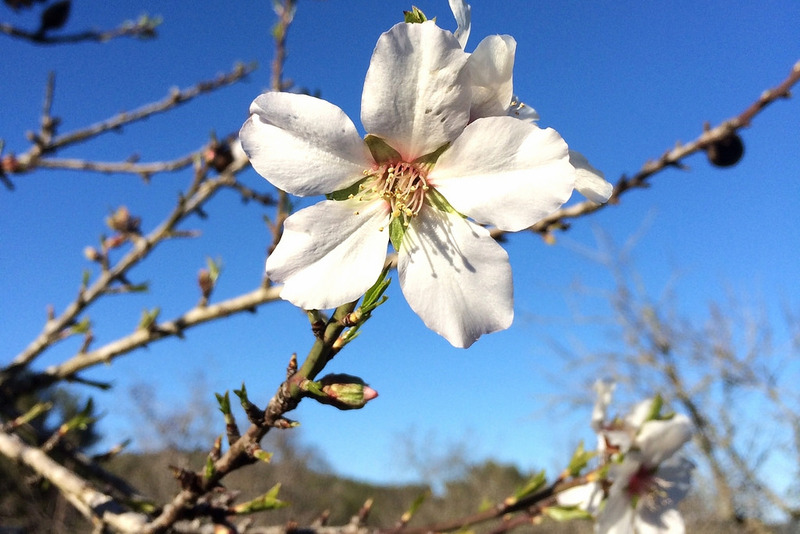 Winter is the time of year for the ‘inner work’ as we say in Ibiza, and now, as the beautiful almond blossoms appear on the trees signifying the change of season, are you feeling your whole being wanting to open, expand and grow? How can you release the last of the winter blockages and step into spring with a clear focus, positive intentions and an energised, spring in your stride? Well… It’s all about a good spring clean! Physically. Work with springtime energies to do a physical detox or cleanse. There are many ways to do this, including juicing and raw foods. We love Verity Smith’s door-to-door nutritionist facilitated juice cleanses, tailored to your personal needs. Or if you are looking to retreat and detox on a deeper level, try Ilona Pantel-Ayal’s amazing holistic fasts held high on a mountain top in the beautiful Buddha House incorporating reflexology, massage, visualisations and many other supportive techniques. Otherwise, you can simply choose to lighten up your larder (and your life!) by eliminating stimulants like caffeine, good old PG Tips, sugar, wheat, dairy and all the stodgy carbs that, whilst great for winter warmth fuel, can feel heavy and unnecessary for the approaching warmer months. Mentally. As you detox the body, you also create space to clear and cleanse the mind. Inevitably, stuff will come up! This ‘stuff’ could be things you may have been avoiding or things you have been seeking clarity on. Any situations in relationships, or in life, which are not clear will beckon your attention. Having a good holistic life coach or detox guide is vital to be able to reconcile and release any challenging emotions. The Just Stop! lifestyle detox retreats offer wonderful, fully-facilitated support so you can dig deep and transform any poison into medicine. Energetically. When cleansing your system, you can expect to feel tired during the first couple of days. So long, slow walks in nature, gentle yoga and stretching are vital for supporting your lymphatic system to purify, calling on you to breathe more deeply and consciously. The yogic ‘pranayama’ techniques lengthen the breath, to expand the intake of new ‘prana’ or life force energy and enable deeper release of ‘apana’ or old, toxic, waste energy. Spiritually. As you clear your space internally, it opens up a connection to your inner self, the deeper, truer part of you that enables you to know when you really are on your right path. This is a great time to consider your life purpose and how you are treating yourself and others in your life. Take time out to ask yourself those important questions and to connect with your potential for creating incredible projects this year. Environmentally. Move through your home with some sage or palo santo, or good quality incense to intentionally clear the space in each room. Now be brave! Veto all the things in your physical environment that do not bring you feelings of peace, calm or happiness, and yes – that includes clothes! Follow the three-word rule: recycle, re-sell or retain. If there are things around you that don’t feel good to look at and are catching even a millisecond of your unconscious attention, they are potential energy drains. Get rid of them! You will soon notice how much clearer and lighter you feel. You will rest better, sleep better and feel stronger, calmer and more energised. Your appetite will diminish and you will be able to listen to your body more, to continue to eat and drink things that really are good and right for you and your system. Your home will become a place where you can relax and refuel and your ‘inner-world’ will also feel more peaceful as you listen to your inner guidance system more effectively. Welcome to living your life in flow! Find more information here about Ibiza Retreats Just Stop! retreats – the perfect escape for an inner spring clean. Do you find it far easier to give time and energy to others, than you do to investing in yourself? 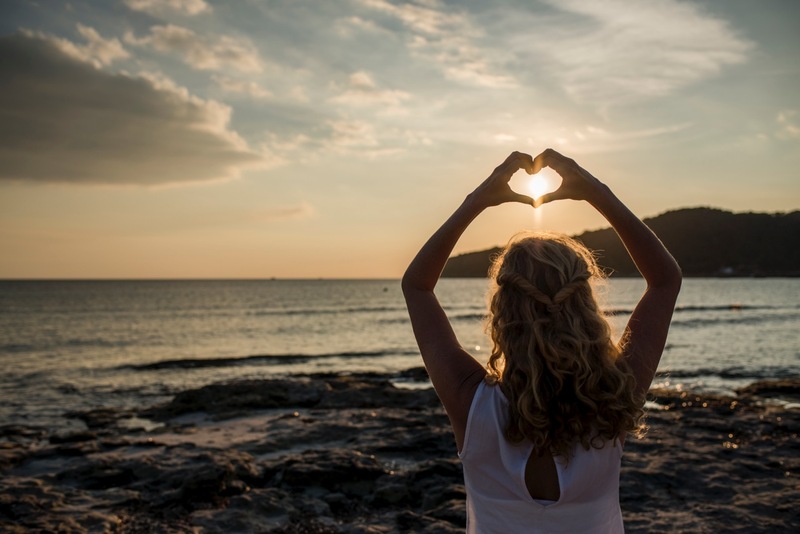 As corny as it may sound, learning to love yourself IS the key to health and happiness. Yet why do you and I resist it so? – set realistic targets – in both work and home life – and be kind to yourself whether you reach them… or not. 2* Be kind to yourself: – listen to your body and if you feel to tired to complete a task or have a conversation – choose to rest and rejuvenate your system. 4* Re-treat yourself for a few minutes each day: – take a 10 minute “disconnection” break, without iPhone, emails, tweets or pings. Just Stop! And out on some relaxing music – take some time to just be. 5* Book yourself into a yoga class, for a massage or for a day in the spa:- give yourself the gift of healing hands, our body does crave touch to release and let go, you deserve to feel nourished and cared for. And most of all…. En joy what you do this Valentine’s season. Make choices that make you happy. Choose pleasure rather than pressure. And do include dark chocolate, as it is also proven by our team’s smiles that a bite of what tastes that good is also great for your happiness and spreads the good loving feelings. Join our Get Glowing Retreat to learn empowering and heart-opening techniques!